"Hi everyone and welcome to my book! It's really close to my heart because it's inspired by my journey to becoming confident and feeling happy about who I am. I wanted to write the book to share the things I've learnt with you - to reveal my top tips on fashion, beauty, love, friendship and YouTube... and loads more! Plus there is room for you to list your own hopes and dreams alongside mine - so get creative and get involved! I'd love it if this book became a keepsake you can treasure for years to come and learn to love yourself along the way - like I have. I hope you enjoy it!" ‘Love, Tanya’ is a book by British YouTuber and internet personality Tanya Burr. The book is part memoir, and part tips and guide to make-up, hair, fashion, healthy living, baking and happiness and confidence. Tanya’s writing style, like her videos, is very conversational and down to earth. Reading this book was like talking to a friend. Despite her YouTube fame, Tanya is a very modest and normal twenty-something. I’ve been watching Tanya, and her husband Jim’s, videos for a while now and one thing that I really love about them is their bubbly personalities. ‘Love, Tanya’ begins as a memoir. In the first couple of chapters Tanya talks about growing up in Norfolk. She had a very normal childhood, but her teen years were ridden with anxiety and panic attacks, something which I can very much relate to. Tanya talks more about this in a later chapter. The next few chapters, Skincare Essentials, Make-Up Essentials, Hair and Nail Essentials, Fashion, Love, Life, Baking and Recipes and Confidence & Happiness and a gold mine of Tanya’s real-life experiences along with her tips and tricks. At the end of each chapter Tanya make a list of her top ten things in a certain category (for example; My Top 10 Fashion Tips, My Top 10 Skincare products). These lists are not only useful in finding out more about Tanya, but are also full of great tips to research and try. One thing that I think would have improved these sections though would be the addition of pictures of some of the products and items that she talks about. After these lists is a little section for the reader to write their own notes, which I thought was a really good idea. The book has many glossy colour photographs scattered throughout. Mostly childhood pictures, photoshoots and selfies. I did find that some of the pictures didn’t always relate to what the chapter was about, but Tanya is a beautiful human being so I enjoyed the photos all the same. This is a book that I can see myself coming back to again and again in the future. The style and content reminded me a little of ‘Brunette Ambition’ by Lea Michele (which was the very first book I reviewed on my blog!) but Tanya’s personality really shone through in the text, so although similar I thought they were both fantastic books in their own right. 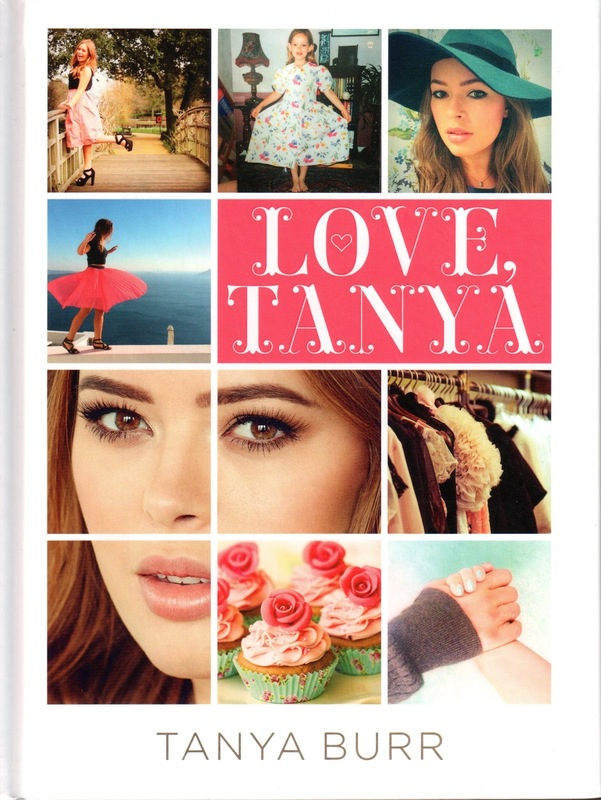 I would definitely recommend this book to any teen or young adult who enjoys Tanya’s videos and wants to learn a little more about her. This is going to be a bit more of a chatty post than one of my usual book reviews. I'm wanting to do few more posts like this to let you guys know a bit more about me (as I feel book reviews can be quite impersonal) and to hopefully get to know a bit more about my readers too! I hope you're all having a fantastic year so far! 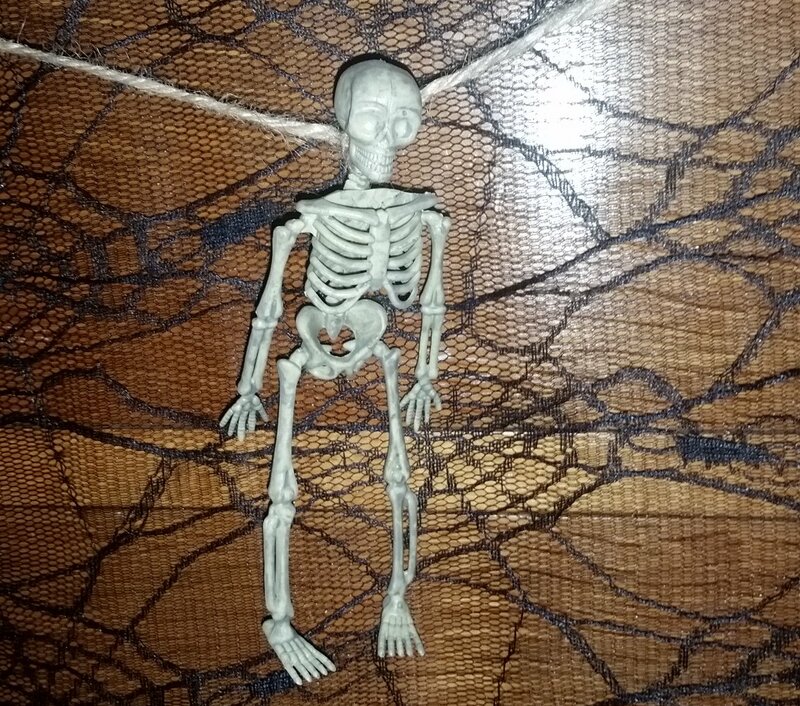 Halloween is by far one of my favourite times of the year as I love all the spooky decorations and I love being able to put fake cobwebs up all over the place. Halloween is also when it really starts feeling autumny, as the clocks have just gone back and it's getting darker earlier. I'm quite happy with my little Halloween set-up in my room this year so I thought I'd share some pictures. 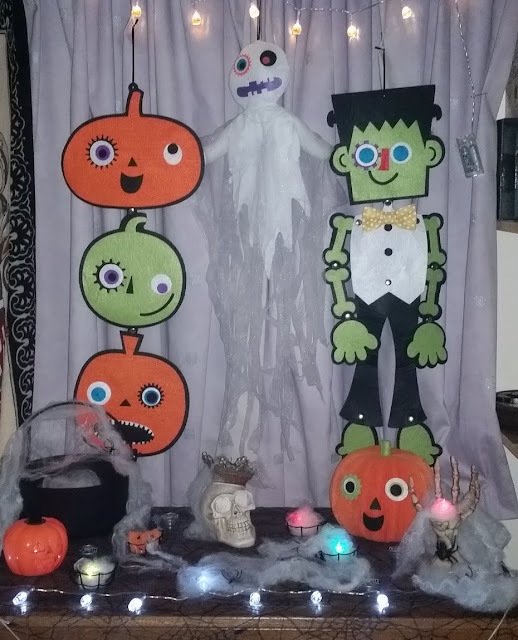 Most of the decorations were from Asda either this year or last year with the exception of the fake cobwebs & plastic spiders (QD), skull & pumpkin fairy lights (also QD) and colour-changing LED lights (can't remember where I got those!) Unfortunately my crappy camera wouldn't take a decent picture without the flash on so you don't really get the full spooky effect here. It's looks so much better with all the lights off! 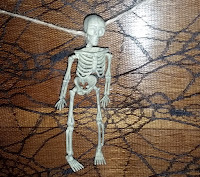 I think one of my favourite things is this creepy skeleton bunting which was also super cheap (only £2 from Asda!) plus the really awesome cobweb table cloth.